Caption slip reads: "Photographer: Lapp. Date: 1957-07-03. Reporter: Frederick. Assignment: Traffic report. 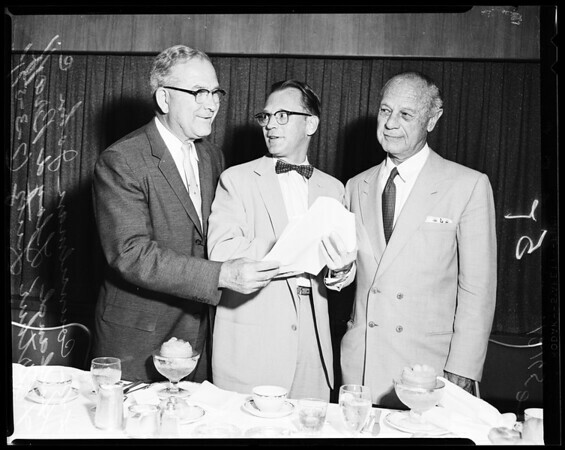 5/6: L-R, Councilman John C. Holland, Lloyd Braff. Gen. mgr. of traffic. Arthur Lutz, pres of traffic comm."